Rugged plastic housing with adjustable feet to give individual comfort. One LED per key lights the individual characters - and they will never rub off! The Deck 105 key Legend measures 18.5" long x 7" deep x 2" high (with feet raised) and weighs 3.5 pounds. And as always this Deck carries our 1 year warranty and a 30 day money back satisfaction guarantee! 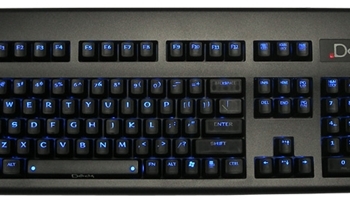 Blue backlit, linear keyboard.